"What are we going to do in Hawaii, Mommy?" 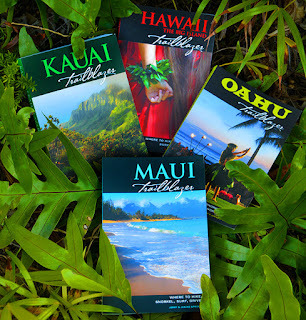 No need to Yelp-out and plan an itinerary for each day on a Hawaiian vacation, since there's a simple way to keep the whole family happy: Make like a local and head for the beach. Below are prime beach parks where you can grab the chairs, towels, boogie boards, coolers, and the rest of the stuff and stay put until the sun goes down. 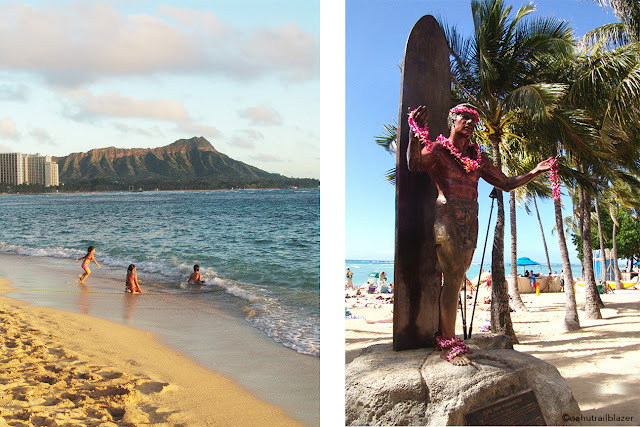 On Oahu, look no further than Waikiki Beach—which is actually made up of a half-dozen or so different beaches spread out over a couple miles. 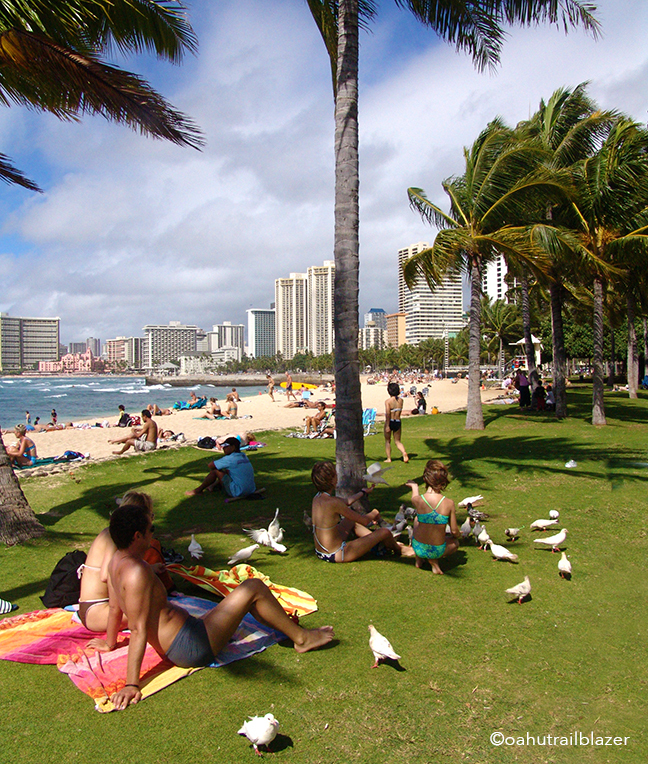 At the south end of the beach is Kapiolani Park (above). A huge, shaded green space lies at the foot of Diamond Head and opens to safe swimming waters. Surfers put on a show. At the north end of Waikiki is its best-kept secret. In the shadow of the Hilton Resort towers are the lovely gardens of Duke Kahanamoku Beach Park, named for the surfing great and Olympic champion swimmer. 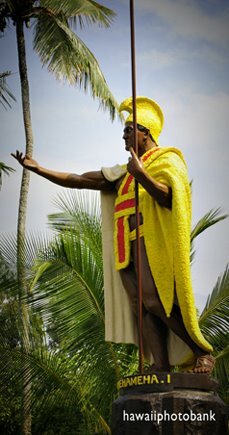 Duke's statue in the heart of the hubbub invites visitors to stake a spot in the sand and chill. 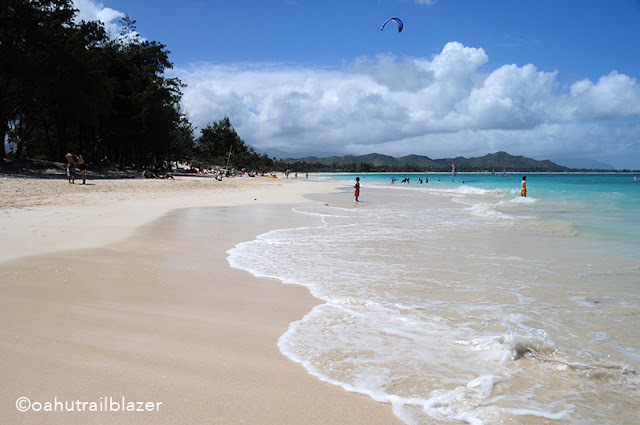 On Windward (east) Oahu lies Kailua Beach Park, which also has many acres of rolling greenery and very good snorkeling and swimming. It's right next to dreamy Lanikai Beach. 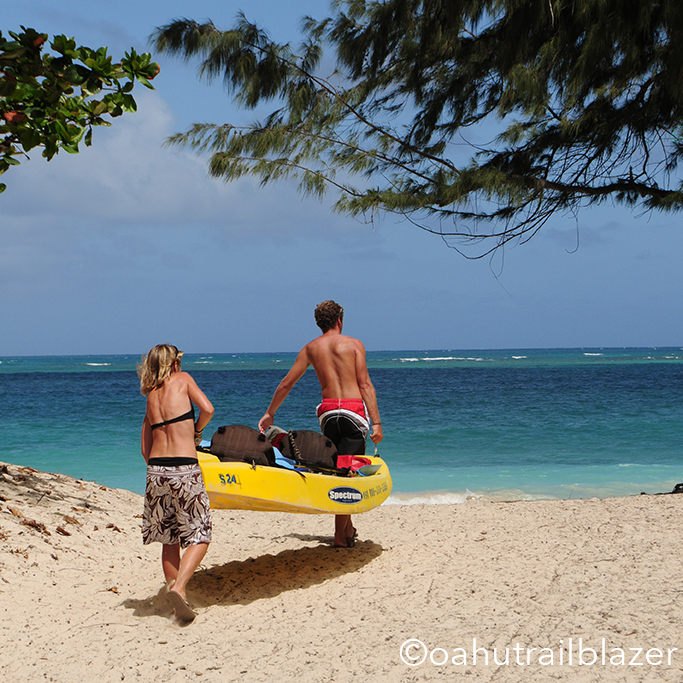 Several near-shore, tiny islands at Kailua offer visitors an opportunity to rent a kayak for a mini-adventure. Flat Island is close enough for snorkelers to make the voyage with flippers and a mask. 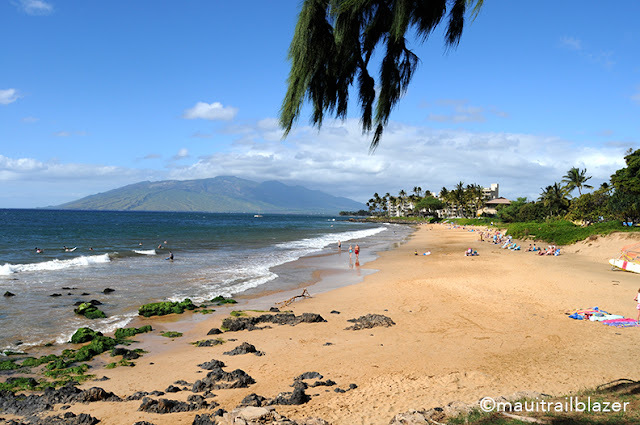 The gold standard among family beach parks are the three on Maui in Kihei: Kamaole I, II, and III. 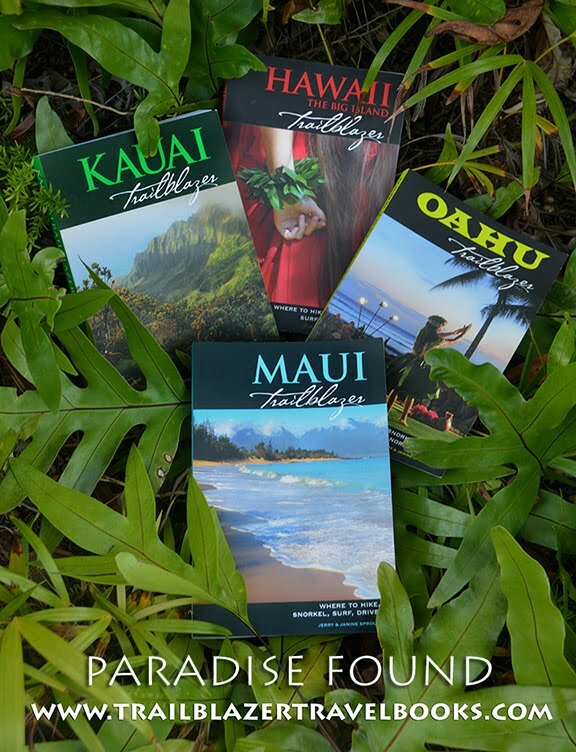 You can walk a path among them—and also keep going south to the resort beaches in Wailea. The low-key commerce of Kihei is across the street, so snacks and beverages are an easy get. Snorkeling is excellent and safe on most days. Picnic tables are scattered about a treed backshore. On the Big Island, locals flock from afar to big Hapuna State Beach. A walkway swerves down past numerous picnic pavilions. 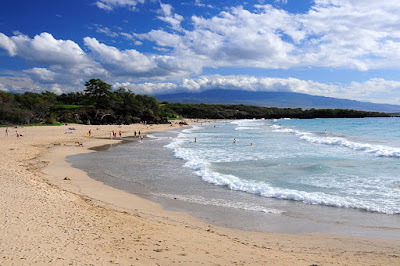 Wave play and surfing are the big draw at Hapuna, but Beach 69 nearby has good safe swimming. (No! 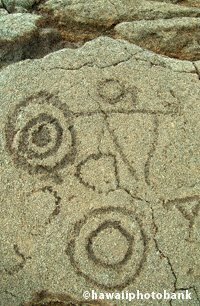 It's named for the telephone pole that marked the obscure parking, before it became a state beach). 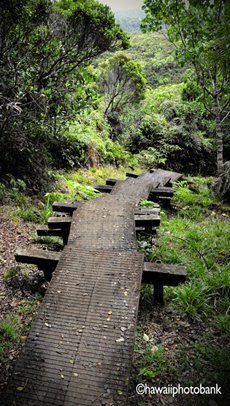 A coastal trail leads from Hapuna to the beach at the Mauna Kea Resort. Many visitors miss the ideal delights at Kauai's Salt Pond Beach Park. 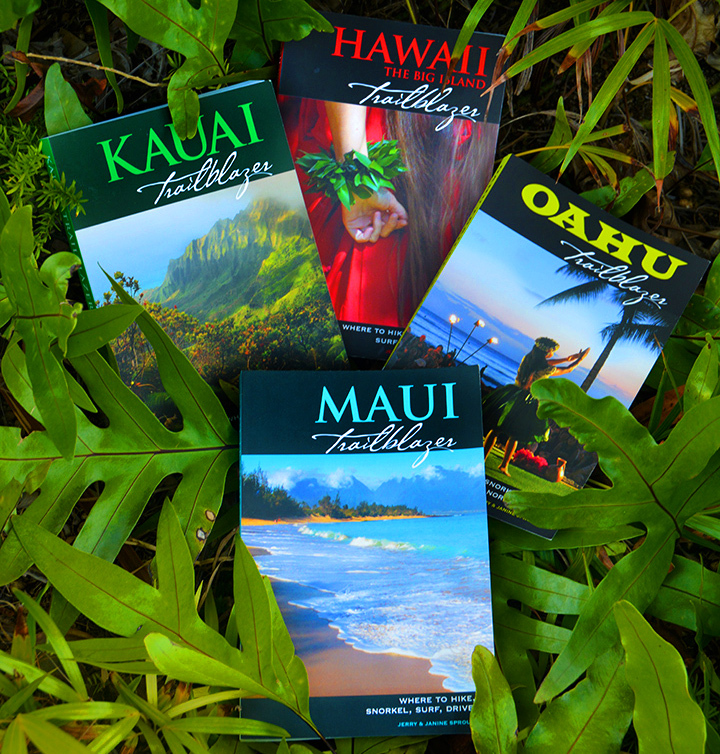 Be sure to check it out when heading back from Waimea Canyon. It's just off the road in Hanapepe. 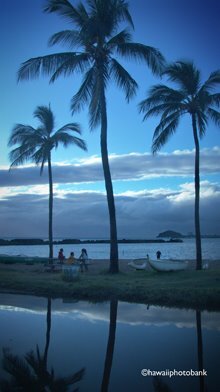 Two keiki (kid) ponds anchor either end of a perfect crescent beach with coco palms dotting the fringes of the sand. 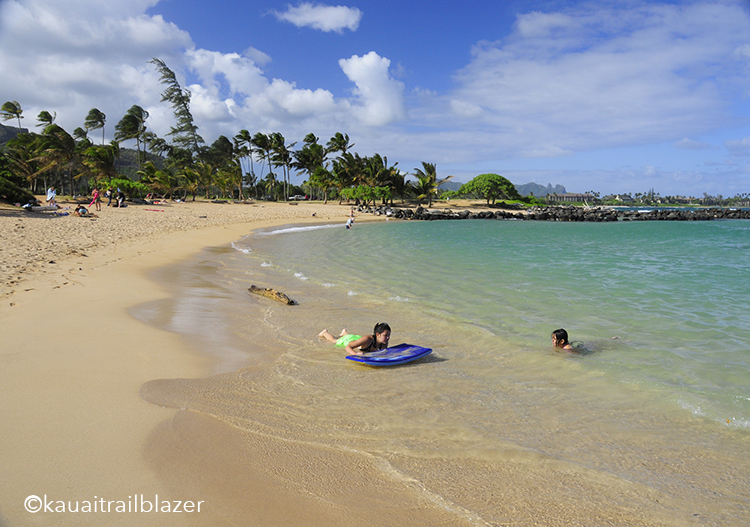 Best for last: The ultimate family pleaser is Kauai's Lydgate Park, on the Coconut Coast near Kapa'a. A large, man-made swimming oval is a sure thing for safe swimming, even when the surf is up. Huge Kamalani Park, with lots of play sets, borders the other side of the parking lot, and a short walk takes you to ancient sites. A ways down the beach (walk or drive) is a five-story Play Bridge—a maze of ramps, ropes, and stairs—that can accommodate a crowd of scurrying little ones. 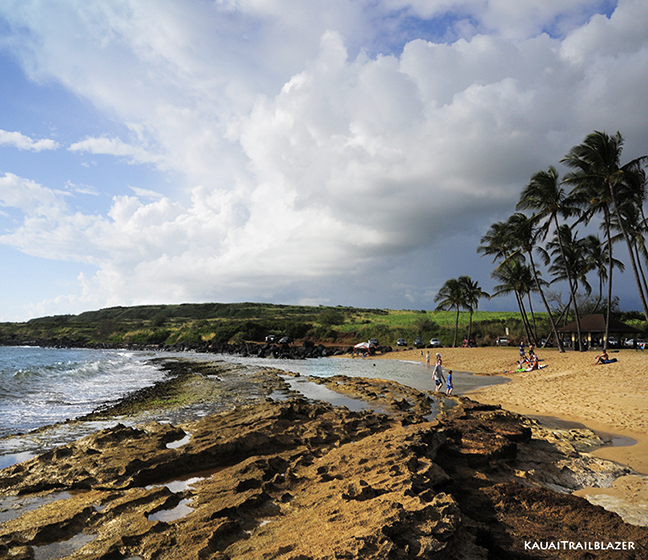 For bigger kids, miles of open sand beckon for a hike past the Wailua Golf Course to wild Kauai Beach. 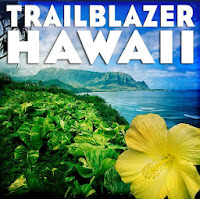 Trailblazer guides—one for each island—have special Trailblazer Kids sections for families. 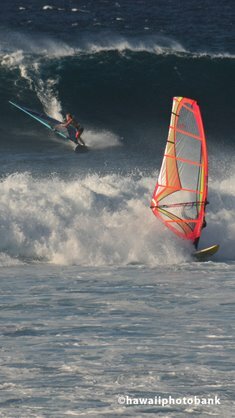 Included are outings, beaches, attractions, restaurants and mellow adventures. Most of the suggestions are freebies.